Updated and move-in ready. This lovely North Redondo Beach townhome faces the local running and walking path, which gives it loads of light and privacy that only homes along the “greenbelt” path afford. The three unit complex is super clean and well maintained, and this home features vaulted ceilings in the living and dining area, a wood burning fireplace and large balcony which overlooks the greenbelt. 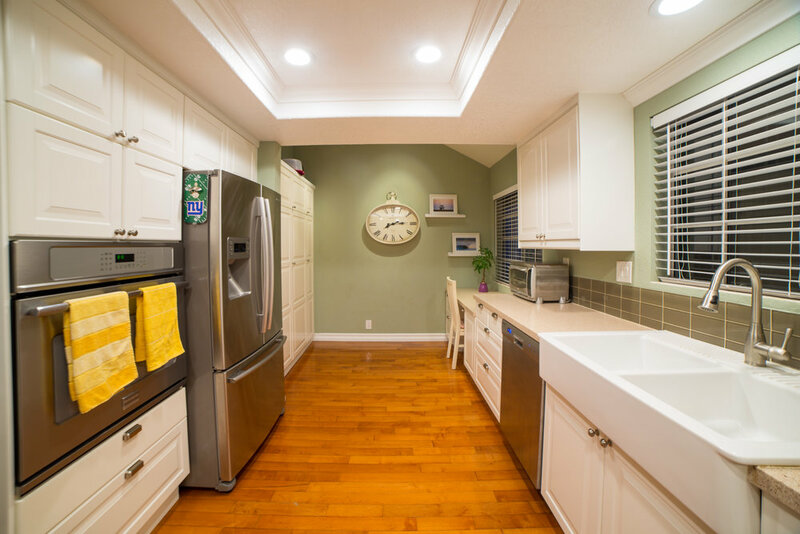 The home has been thoughtfully updated including kitchen baths and designer style finishes–– shows like a trendy pottery barn catalog, super comfortable. 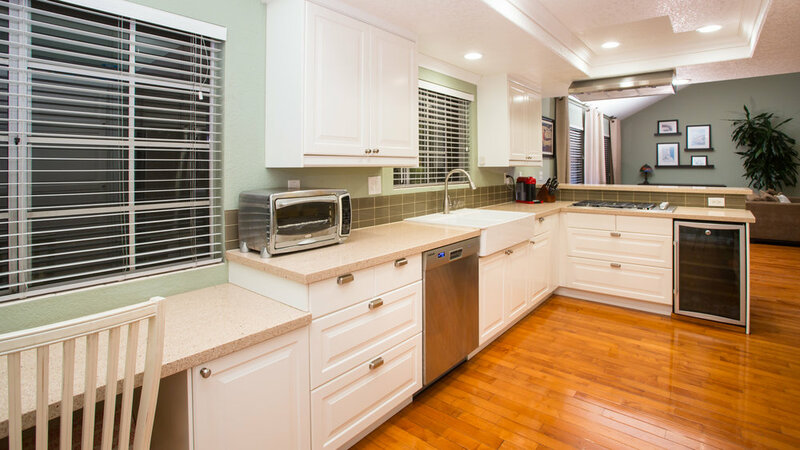 The kitchen has wood floors, Caesarstone counters, stainless appliances including wine fridge, built-in study desk and a large, double farm style sink. The wood floors continue throughout the rest of the living space. 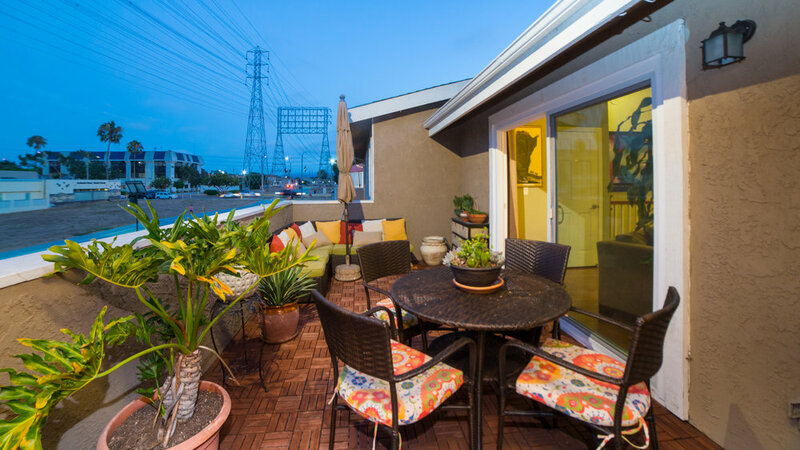 The A+ location provides access to all of the South Bay’s best attributes including a 10 minute drive to the beach, great restaurants and shopping, and some of the highest ranked schools in Los Angeles.